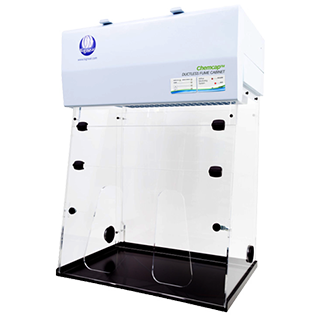 Chemcap Clearview ductless fume cabinets include Chemcap carbon filtration and give the user all-round Clearview vision. A range of six standard cabinet sizes with touch button controls and audible low airflow alarm. The work surface is black which highlights spillages. 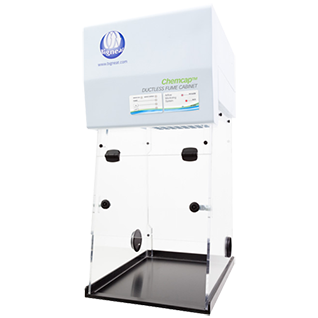 Improvements in the flow patterns in the design of these New Chemcap Clearview cabinets ensure that Chemcap filters utilise more of the carbon within the filtration bed and that retention capacity is maximised. 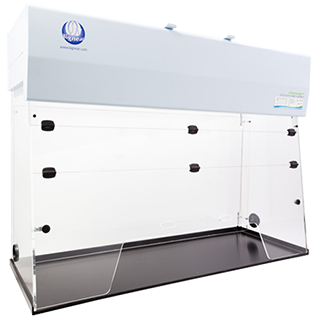 OPERATOR PROTECTION: Chemcap Fume Cabinets protect the operator from fumes, aerosols and/or particulates whilst undertaking laboratory procedures. 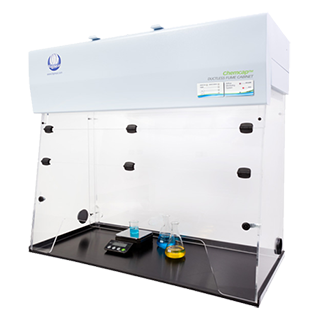 COMFORT and CONVENIENCE: Chemcap cabinets offer clearview all-round vision and are fully portable. Cabinet has tear drop front access as standard with double hinged and lockable front door flaps for easy access to cabinet interior. 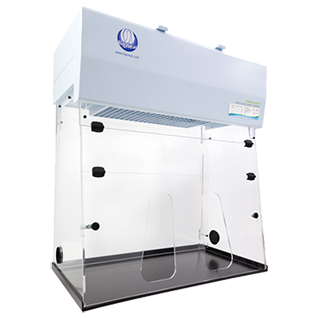 This cabinet offers excellent unhindered 360° all-round vision and is fully portable. 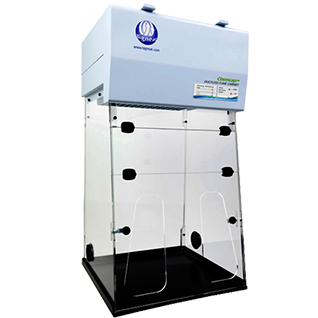 Cabinet has tear drop* front access as standard with double hinged flap for easy access to cabinet interior. Two service ports with covers are supplied in the side panels. Please select any optional extras you would like from the details below.